Hope you all doing fine. 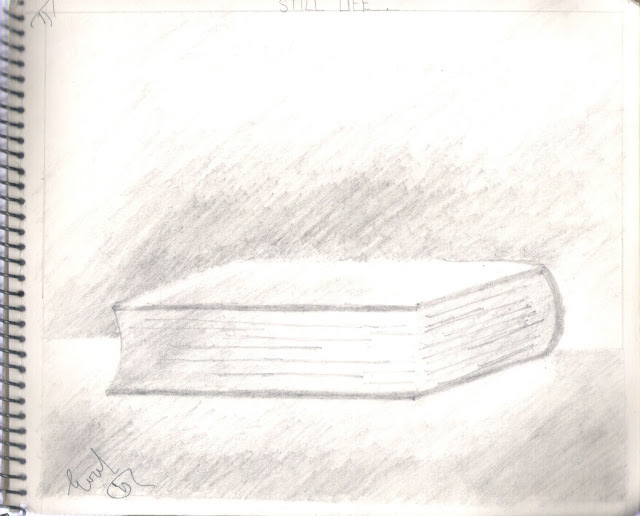 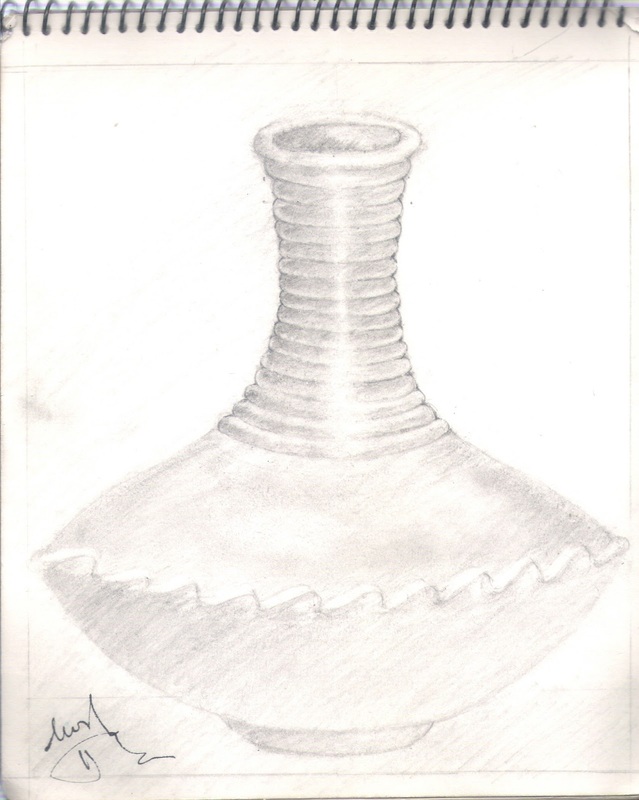 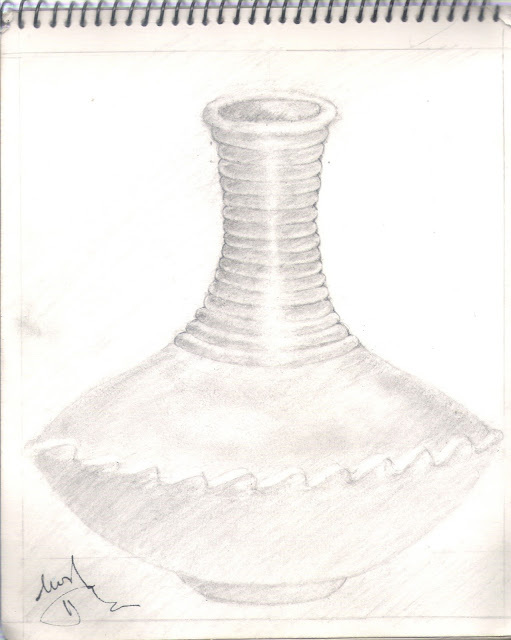 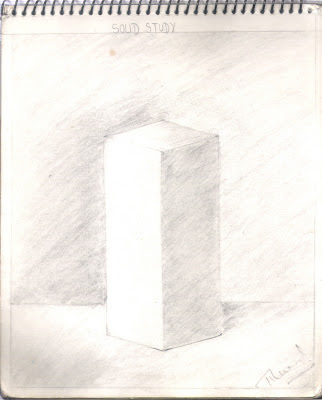 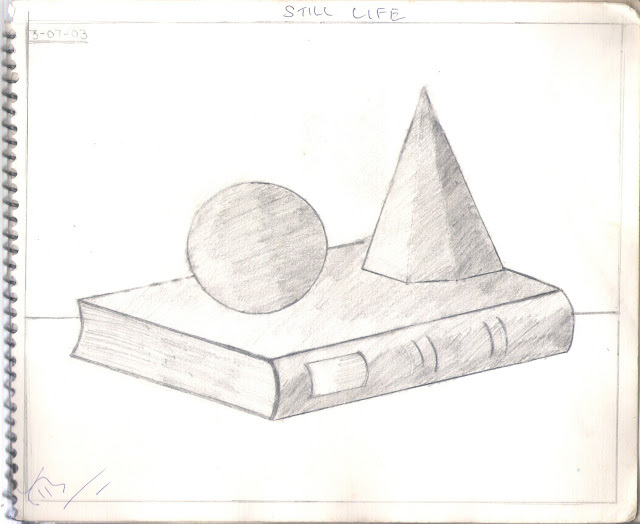 Today I am sharing the very first of my sketching work that I practised during my drawing classes at school in 2003. 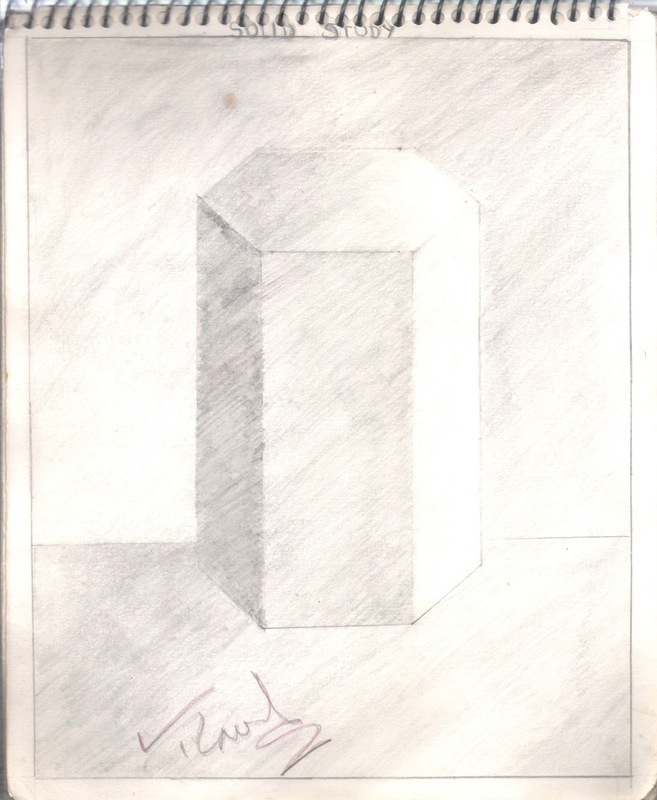 This drawing notebook is quite special to me and is signed by my respected drawing teacher Late Mr. H J S Walia. He used to place an object in front of us and we tried to draw it using pencils for the next whole week. 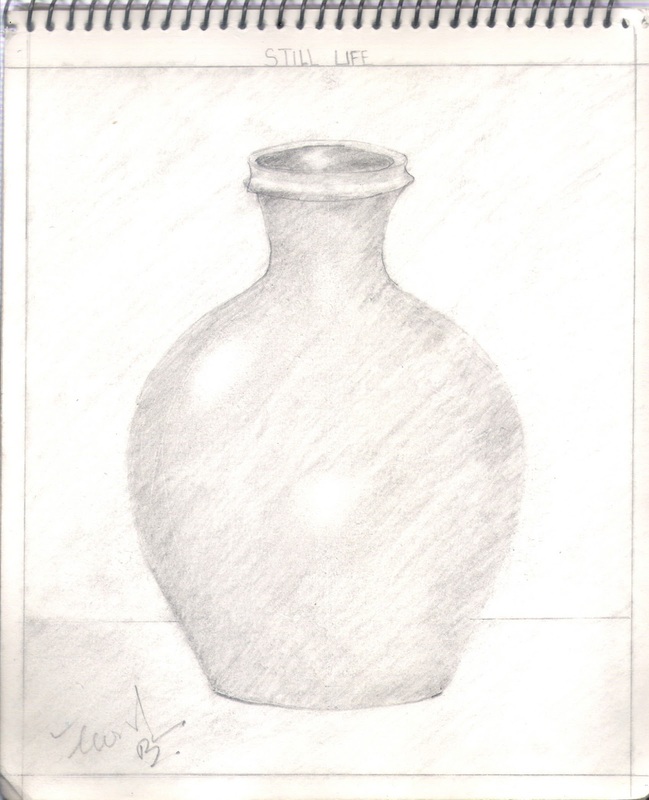 This improved my observation to a large extent and to find minute differences between shades. We all worked enthusiastically to get a "Good" which was rare in that class. 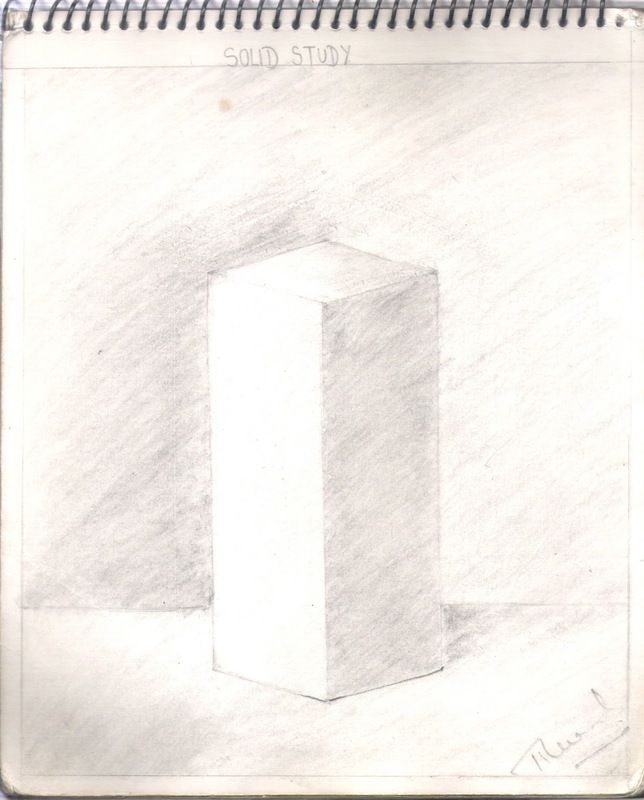 Even now when I look at this work, I learn new things.